Samsung Android Phones / iPhones 37mm and 58mm Thread Lens Adapter Mount / Clip / Holder : allputer.com - Accessories for all your Portable Electronics & Computers! If you've purchased our 55mm lenses and wish to use on other device, here is a way. Just purchase this quick clip then you can use 58mm lenses on almost all the electronic devices with a camera. 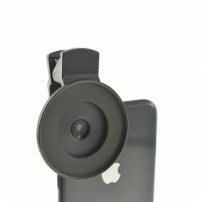 - A universal kit to use 58mm lenses on smartphones! - iPad Pro 12.9" / 10.5" / 9.7"
- Please note it is a 37mm thread clip and a 37mm-52mm step up adapter, not an integraded clip. - If you have 37mm lenses, you may also fit on the clip for photography too. - Net Weight: 17g (Clip) approx.